Gault Elementary School, now at Radcliff and Mintie White elementary. El Sistema Santa Cruz is challenging the notion that socioeconomic is the single biggest predictor of academic success and that children engage in art and more specifically music from a very early age break down barriers of all kinds, from socio-economic to language or special needs, leveling therefore the playing field for all. Camilo Ortiz: a classical guitar player with a Bachelor of Music in Classical Guitar Performance and a Level I, II, and III Orff Schulwerk Certification also former pre-orchestra director and teaching artist at Youth Orchestra Salinas (YOSAL) an El Sistema inspired program with over 200 students. Anne Cleveland: a performing jazz, folk and classical music with a Bachelor of Arts in Music and Masters in Waldorf Education. Claudia Riege: first grade teacher and Orff specialist. Henry Wilson: recently graduated with a Bachelor of Music degree from UCSC and have been part of the Student Staff Ensemble program at the Cabrillo Festival of Contemporary Music. Miran McPoland: holds a degree in music education from Willamette University and is Orff certified through the San Francisco International Orff Course. 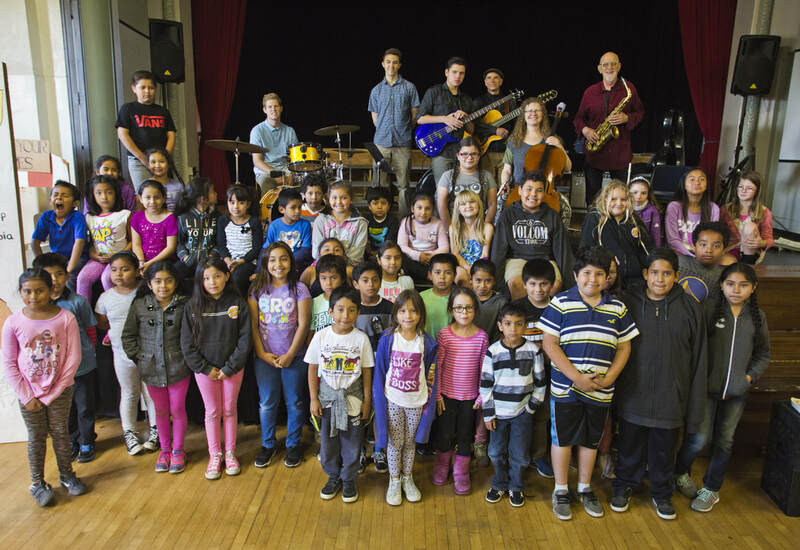 She has over a decade of experience in El Sistema inspired programs including Youth Orchestra of Salinas and Seattle Music Partners where she has done everything from teaching kindergarten to conducting high school symphony orchestra. When she is not teaching, she is performing on violin and viola. Isabelle Tuncer: has over 20 years of experience in academics, international trade, development and project management. She first came to the United States as a Fulbright scholar at the University of Texas, School of Law, held positions at the Agricultural Economics Research Institute, Turkey and the United Nation Conference on Trade and Development, Switzerland. Founder and director of El Sistema Santa Cruz since 2012.